Have you heard of the 2019 Colour Challenge by Jen of Patterns by Jen? Each month Jen releases instructions for a block along with a colour of the month and if you sew along all year you'll have a fabulous, colourful quilt. Each month's block instructions are free for that month and then they're available in Jen's Payhip shop. I haven't been sewing along up until now, but I did make the April block 😊 How could I resist when April's colour is blue? 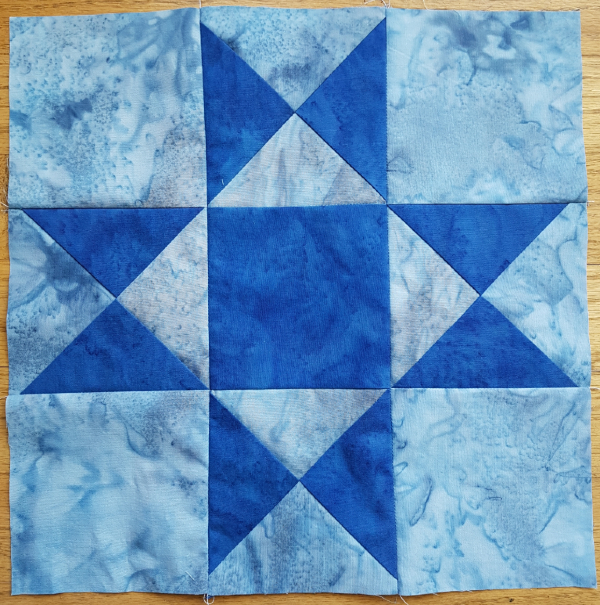 To top it off, the block for this month is the Ohio Star, which is one of my favourites. Here's my blue Ohio Star. I made mine with with a dark and a light blue from Island Batik's Foundations, both of which were left over from piecing my Pinwheel Irish Chain quilt. Have I mentioned how much I love the Foundations fabrics? I think they might be my favourites of all the Island Batik fabrics, probably because I've always loved fabrics that are almost, but not quite, solids. That little bit of variation in the colour makes my heart sing. Don't you love when points match up so perfectly? Jen's instructions call for making the hourglass units a little larger than necessary and then trimming them to the perfect size, which makes it so much easier to get those perfect points. Do you have a favourite quilt block? Love your blue fabric choices!!! Those batiks are gorgeous and those points are amazing! 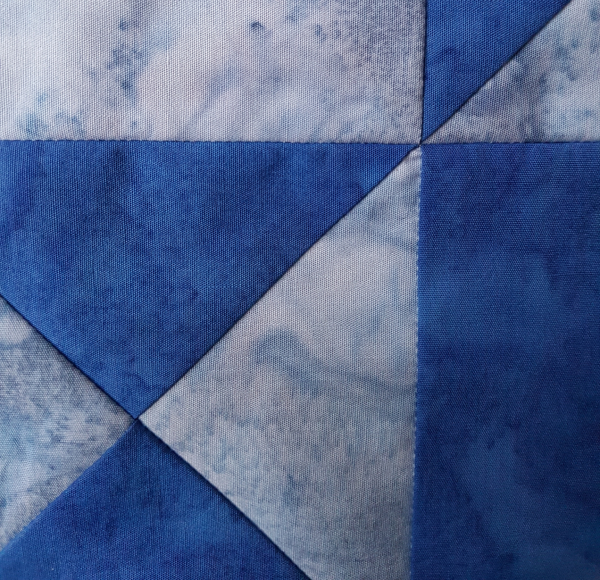 Great block...I almost used my blues for the next baby quilt, but wanted to wait until I did this block. Love your version. Love the blues. I started playing along this year. Need to find some fabrics to make this one.